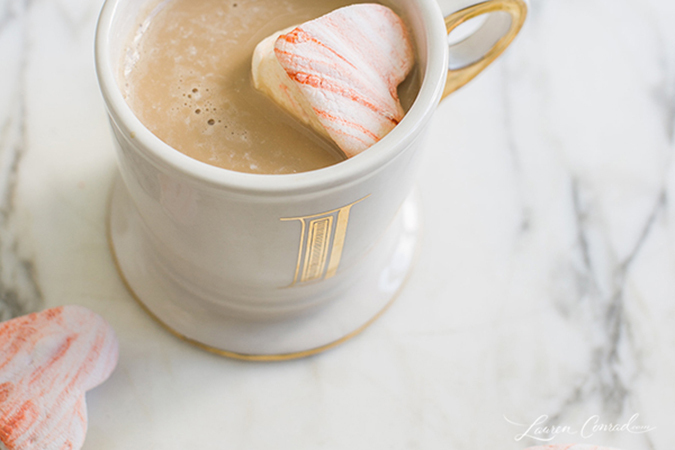 These extra fluffy marshmallows are perfect for your hot drink of choice (we recommend a big mug of creamy hot chocolate!) and couldn’t be easier to make. 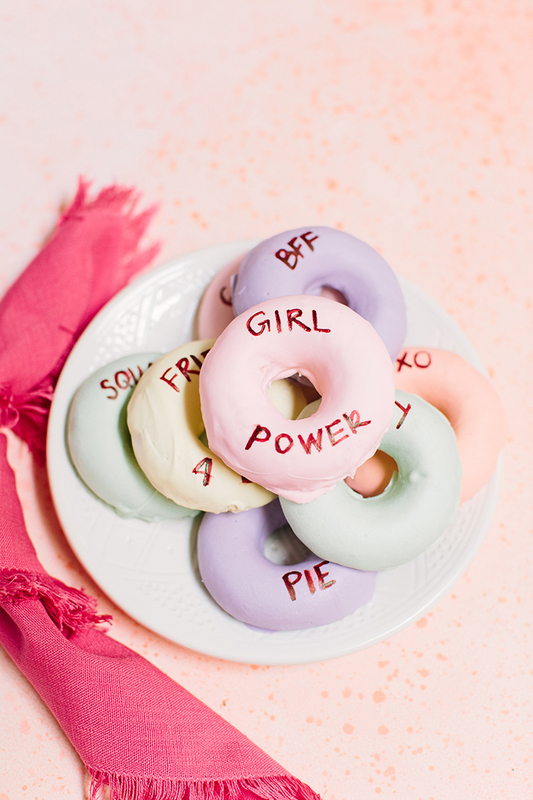 Nothing says “I love you” quite like a homemade donut…especially one that you can actually write on! 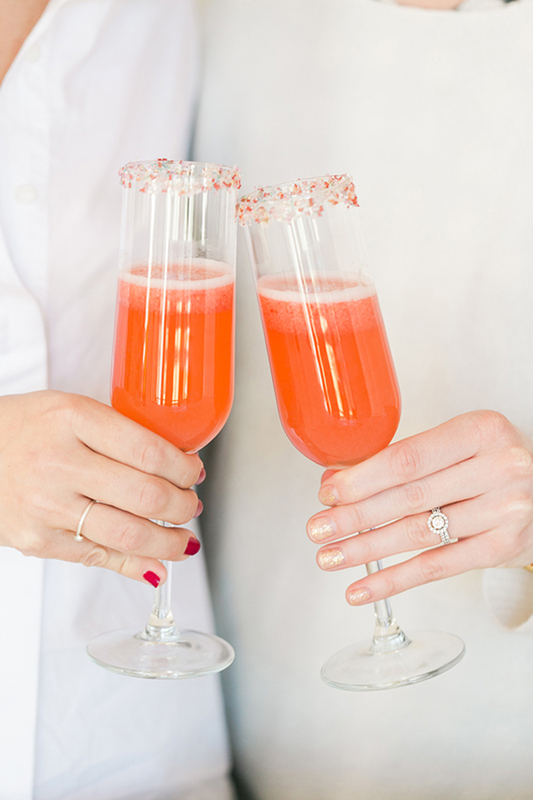 This pretty, bubbly drink is everything we could ever ask for in a Valentine’s Day cocktail. 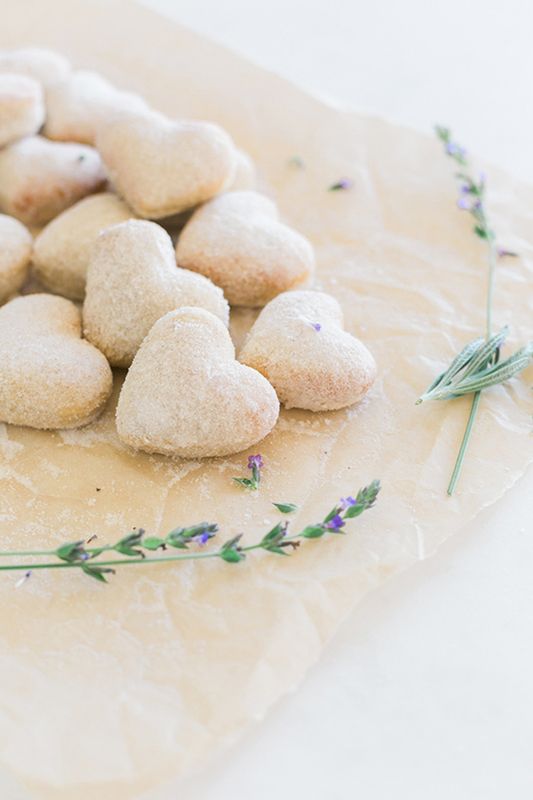 With sweetness from the pureed strawberries and sugared rim, it’s the perfect way to end a day full of love. 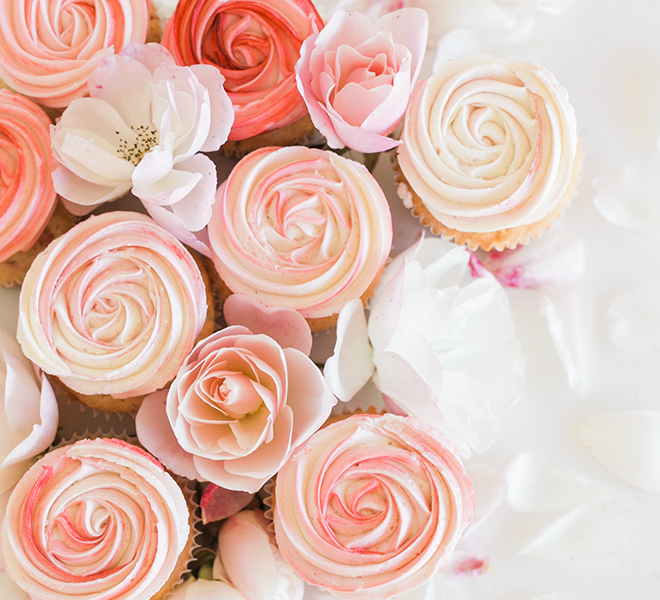 These might just be the most beautiful cupcakes we’ve ever seen… and the most delicious replacement for a bouquet of roses. These sweet and sour pop rocks are just as good as the ones you remember from childhood…only this time without the corn syrup and artificial flavoring. Not only are these donuts soft and pillowy, the added cinnamon will make your house smell like a dream. 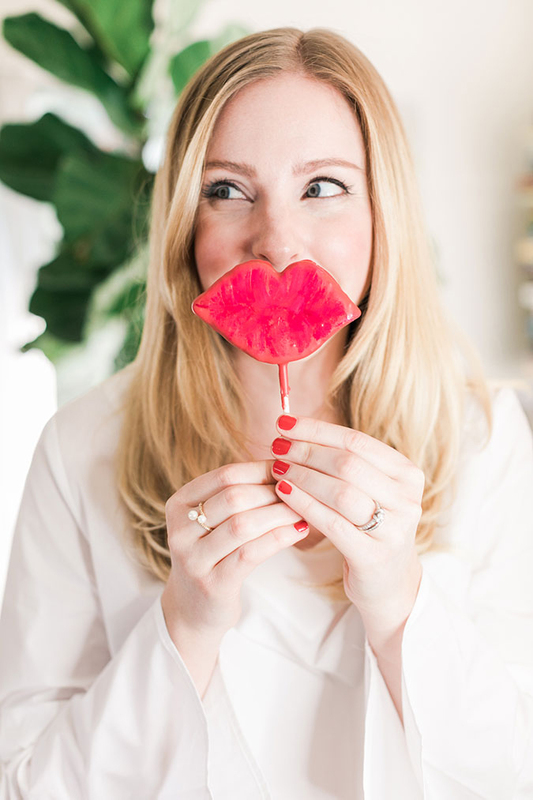 These sweet cake pops are the perfect addition to your Valentine’s Day soiree—pucker up! 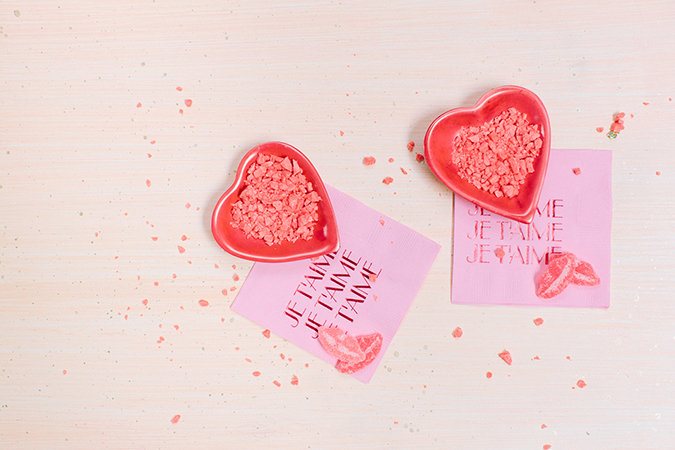 What’s better than one Valentine’s sweet treat? 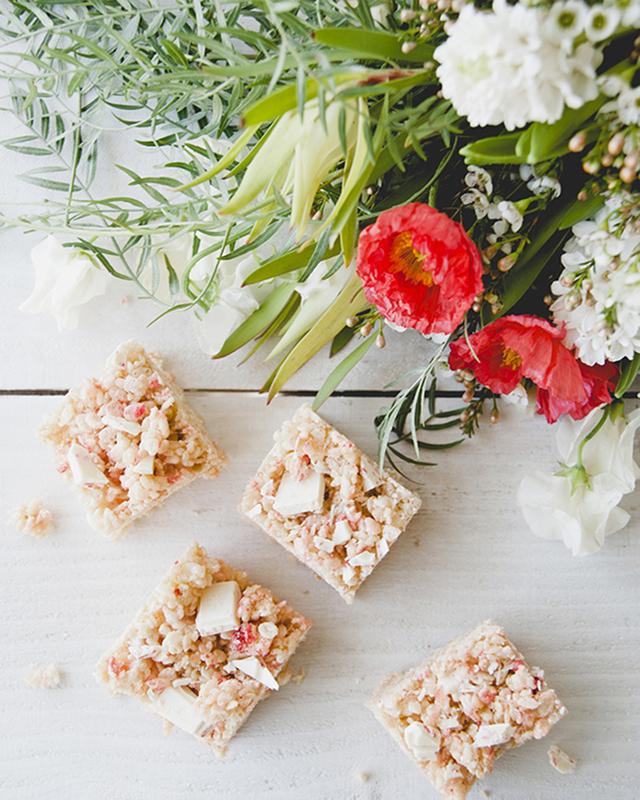 How about three treats with candy bars as the main ingredient? Sign. Us. Up. 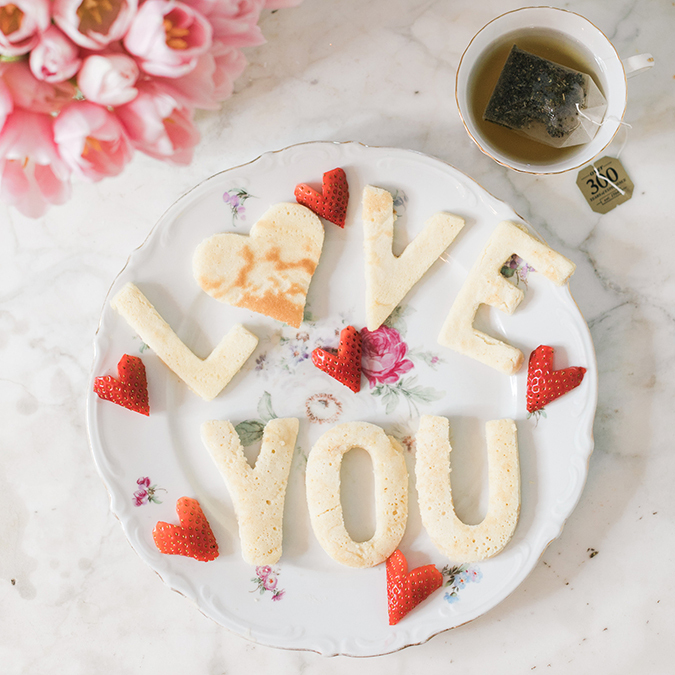 Sometimes the best Valentine’s Day traditions are the simplest, and these pretty pancakes are just that. Start your significant other’s day off with a sweet breakfast in bed. 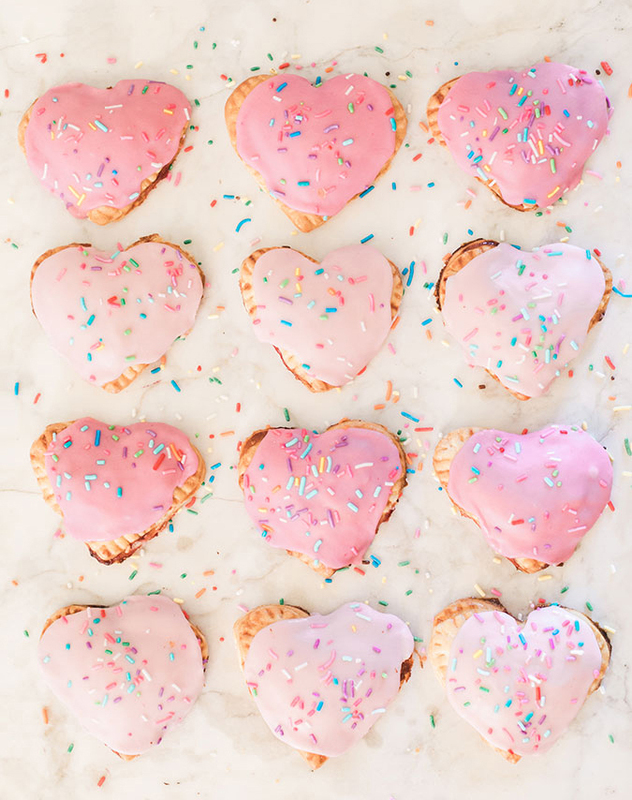 If you loved Pop Tarts as a kid, you’ll want to whip up this easy homemade version just in time for Cupid Day. They might even be (dare we say it?) better than the original. Which treat are you most excited to eat?